Holliston Police & Fire discovered a body in Lake Winthrop Friday morning. Police have identified the body as Theresa Sorenson, 59, of Framingham. She had been reported missing since Thursday, when a well-being check was done at her 11 Fairview Road home, said Framingham Police. Lt. Stephen Cronin. 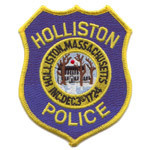 Holliston Water Search & Rescue found her body about 35 feet away from the shore at Pleasure Point in about six feet of water, said Police Chief John Moore, in a press release issued just after 1:15 p.m. Her body was found at 8:55 a.m. Friday, after a search was called off Thursday night due to darkness. Holliston Police, Holliston Fire, Massachusetts State Police air wing, and a k-9 unit have been searching for the woman near the lake, since Thursday night.